How and why should Colleges and Universities invest in Mobile Apps? According to Nielson, people spend 89 percent of their media time on mobile apps and only 11 percent of their time is spent on mobile web. This trend is expected to continue, as 98 percent of millennials now own smart phones and use apps to do virtually everything. These statistics illustrate the importance of digital devices and there is no indication this cultural phenomenon will slow down anytime soon. If anything, it is accelerating at a breakneck speed! If you want to connect with and engage your students effectively, you cannot do it from behind a desk or via a desktop application. Campuses must virtually go where students are spending most of their time. It is no secret that the lives of millennial students is permeated by smart phones. Many of the students do not even own a desktop computer but come to school with a smart phone or a tablet. Students are increasingly choosing colleges and universities that offer a wide range of mobile apps for them to do everything from finding their way around campuses, enrolling in classes, campus security and making fee payments. Students would naturally prefer to perform their tasks in a more user-friendly app that is comprehensive and serves them as a ‘one-stop app’, rather than access multiple apps on their phone. Many colleges develop mobile apps in-house as a cost effective measure but having a mobile app isn’t the end of story. These apps give a start, but it may not incorporate best-of-breed ideas and practices and thus will usually be lagging behind commercial apps for students. Students will also only access apps in a continuous manner if they find some elements of engagement and service incorporated into the app. Students would like the app to be a two-way communication enabler between the student and the institution, rather than just a notification mechanism for the institution. It all finally comes down to the app experience! Students will quickly abandon the app if they are visually unpleasant, boring, intrusive or irksome. Statistics show that 23% of the users disown an app after one use and 62% use an app less than 11 times. 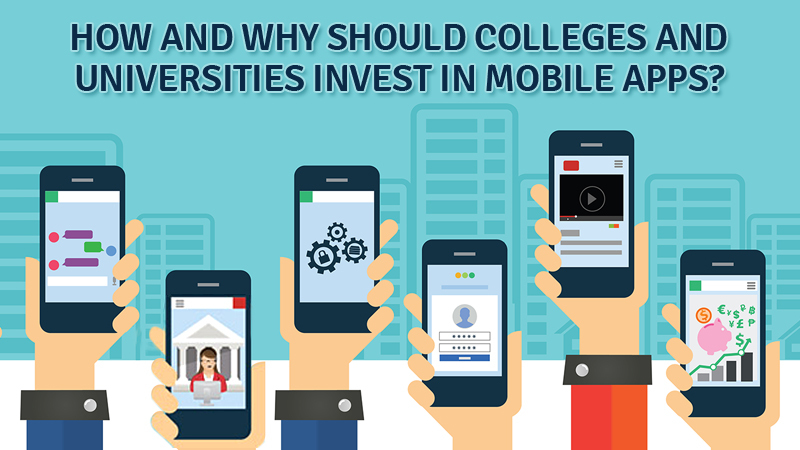 These facts have to be taken into account if your institution plans to invest in a mobile app for students, prospects or alumni. Your goals and return on investment should clearly be comprehended and outlined, prior to rolling out the mobile app. To learn more about Engage2Serve’s mobility solutions and how they can help meet your institutional or program goals, please click here.